A portion of the mural “Presencia de América Latina,” by Jorge González Camarena (Mexican), 1964-65. Through an interdisciplinary course load, students who major in Latinx and Latin American Studies will critically examine the diverse histories and cultures of Latin America, the Caribbean and U.S. Latinxs. Majors will complete, in any department, a course on U.S. Latinxs, a course on Latin America, a course on the Caribbean and two courses taught in languages spoken in Latin America and the Caribbean. Required coursework also include a research/methods seminar. For more information about DACA please visit the Immigration Enforcement page. The Documentary is based on interviews of Puerto Ricans who live in the Pioneer Valley(Amherst, Holyoke, Chicopee, and Westfield), as well as their family life Hurricane Maria and its aftermath, colonialism, and being Puerto Rican today. 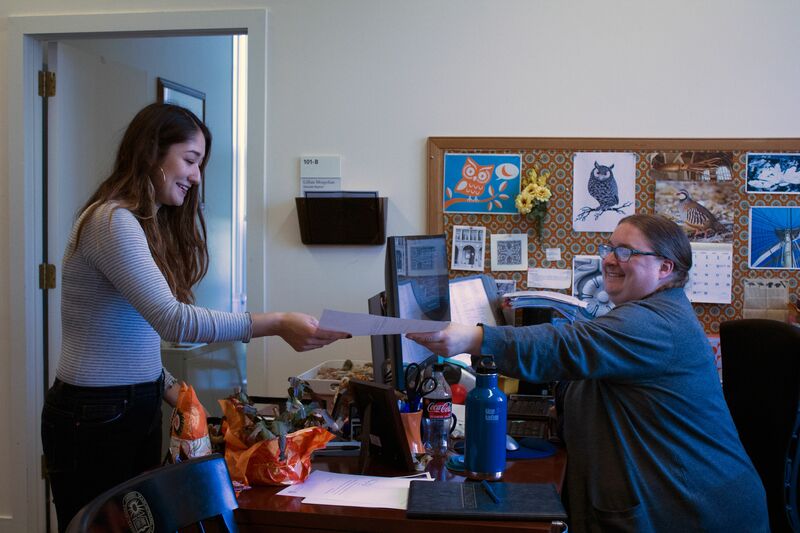 After years of advocacy from students and faculty, the Latinx and Latin American Studies (LLAS) major has debuted this semester. The major was approved after a unanimous vote from the faculty in the spring of 2017. Originally from the Dominican Republic and raised in the United States, Carlos Adolfo Gonzalez is a passionate scholar and advocate. As a DACA beneficiary, his commitment to immigrant rights is rooted in his experience living undocumented. After graduating from Amherst College in 2014, Gonzalez mobilized unlikely voters in Illinois before drafting federal policy at the U.S. House of Representatives and resettling refugees at Church World Service, one of the largest refugee resettlement agencies in the United States. He helped organize the first statewide gathering of immigrant youth in Pennsylvania and led advocacy efforts for the Pennsylvania DREAM Act. Additionally, he has written in the New York Times, The Conversation, Mitú and others on immigration and Latino affairs. He earned graduate degrees from the University of Cambridge as a Gates Cambridge Scholar and Tsinghua University as a Schwarzman Scholar. Currently, he is the Statewide Capacity Building Coordinator at the Pennsylvania Immigration & Citizenship Coalition (PICC), a diverse coalition of over 50 member organizations advocating for immigrant rights. Gonzalez also serves on the Youth Panel of the International Commission on Financing Global Education, the board of the Feakins Foundation, and the Pennsylvania Governor’s Advisory Commission on Latino Affairs, the commonwealth’s leading advocacy body for its one million Latino residents. His story was featured in a CNBC documentary. Engage with the major debates of Latinx and Latin American Studies, including whether Latin America has a common culture, Latin America's place in the Western world, and if Latinx is a race or an ethnicity. Trace the history and development of ancient Latin American collections in museums across the globe, and conduct independent research projects using collections from the Mead Museum. Investigate the dynamism of Latin American societies, and explore this history through the eyes of politicians, explorers, noble men and women, indigenous intellectuals, and African slaves. Our faculty includes experts in history, cultural studies, literature, as well as in visual and media arts, gender studies, sociology and environmental studies. Meet the entire department.